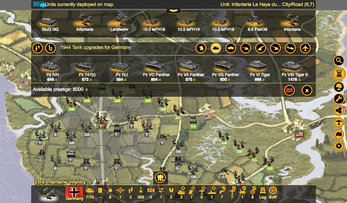 Historical tactical scale World War 2 turn based strategy game, that puts the player in the role of an Axis or Allied army officer. You command battalion level units with the objective to fight with the enemies and to defeat crucial landscapes such as the cities, battlefields and other key strategic points. 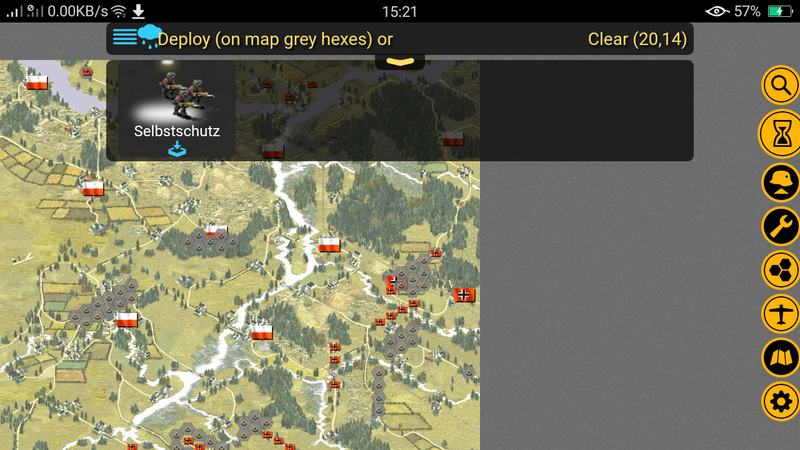 Forge a battle winning army and conquer your foes. 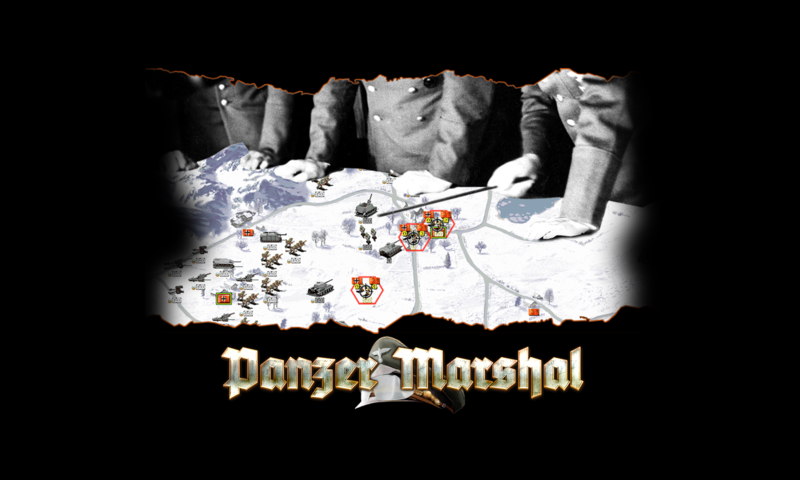 Do you have what it takes to be a Panzer Marshal ? 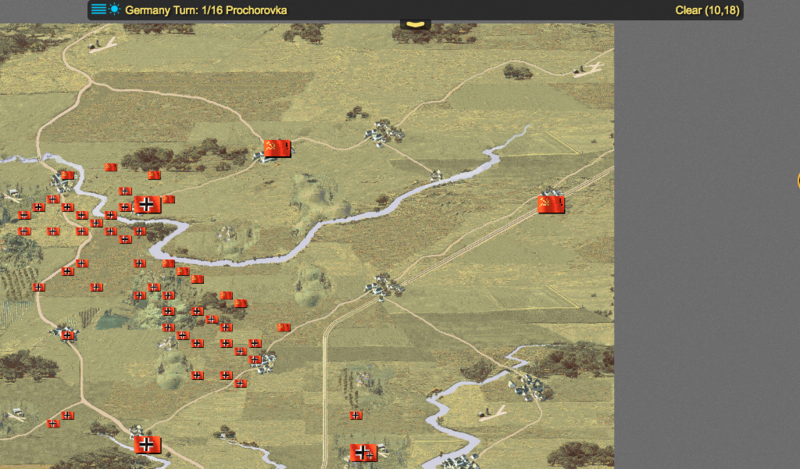 • USA, German and Soviet campaigns in 100+ historical accurate scenarios, and introductory tutorial scenario. 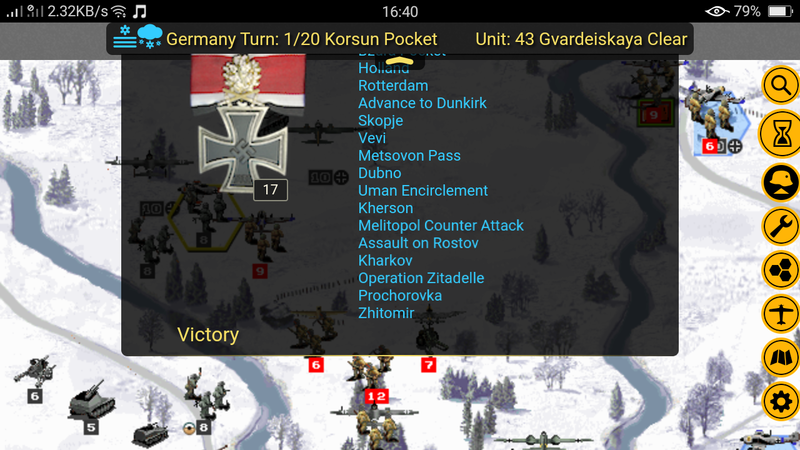 • 4000 historically accurate units, each unit having more than 20 stats and only being available depending on scenario year, based on AdlerKorps equipment. 30 countries available. 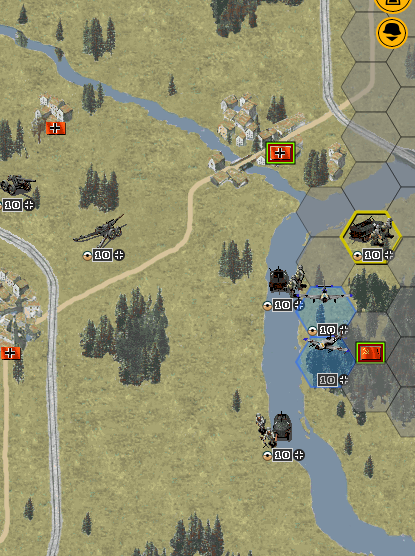 • Build you own core army, train your core units to increase their experience, gain prestige to upgrade or buy new units, carry them over scenarios as the campaign progresses. • Cross platform save/load game state at anytime beside the automatic turn save . Cloud based save/load game facility to continue playing on other devices. 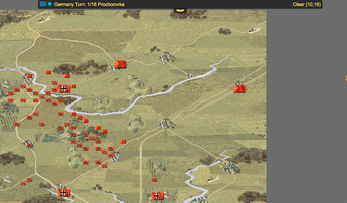 • 20 Terrain types that influence combat, weather and ground conditions, automatic reinforcements. 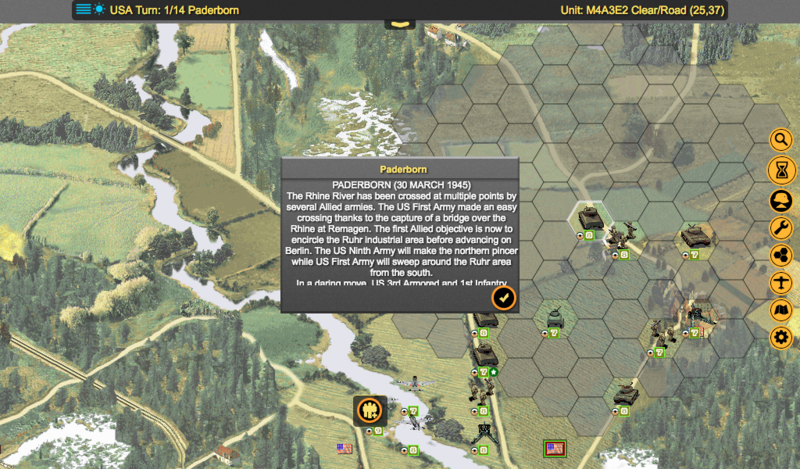 • Strategic overview map of entire battlefield, clean user interface that never hides the battlefield from player. Report issues or propose enhancements. Checkout our facebook page for gameplay videos and news. 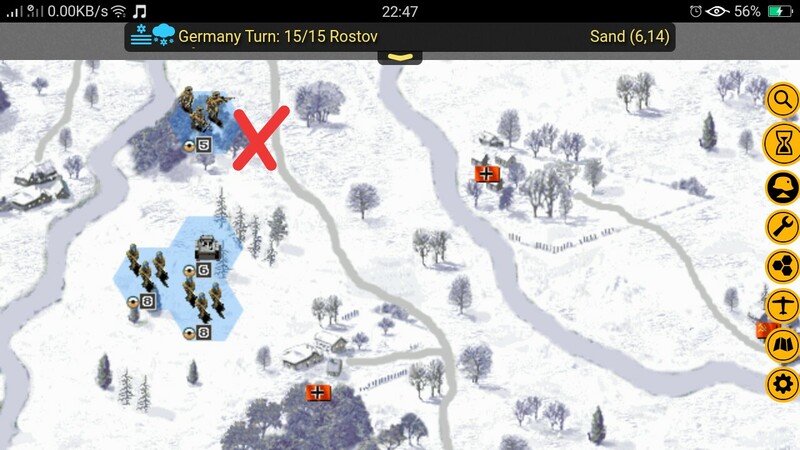 I dont get the scenario Rostov Defense. 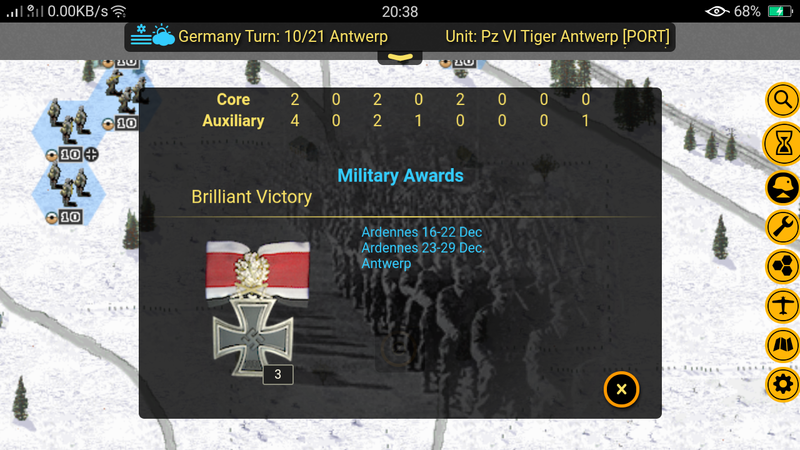 My entire army was wiped out! 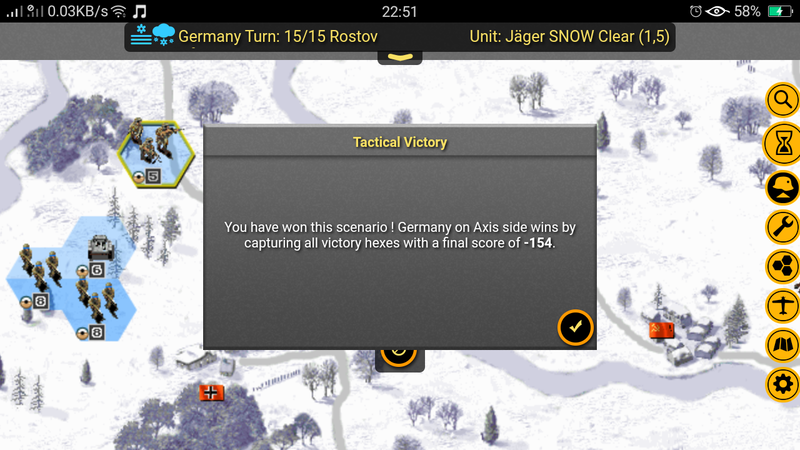 They just kept comming, even after the 15 turns had passed? I reloaded and cheated this time, not deploying with the restrictions. 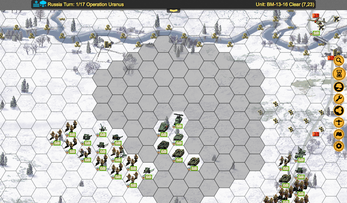 However, here too the scenario is really hard and although I have been able to counter attack and destroy god knows how many Red Army units. Where is that reinforcement hex located? 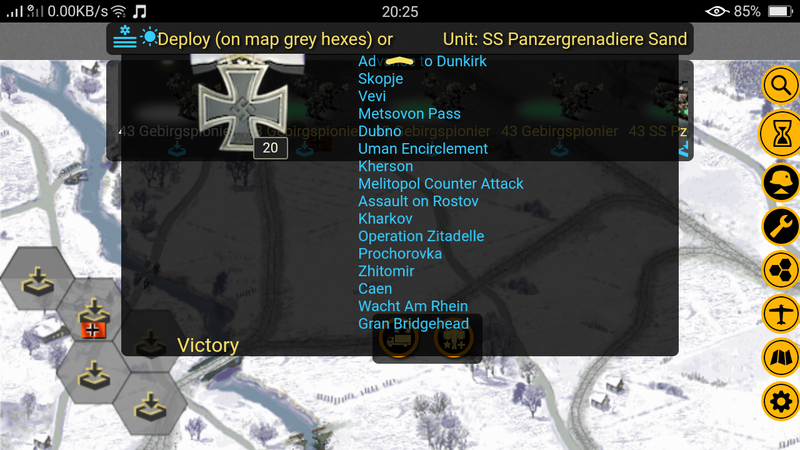 I have captured all flags on the map now, destroyed all Red Army units, nothing happens. It is turn26 out of 15? No road block or anything. Thanks, ill try it out. I like the ability to scale the menus and the map. I'm 52 yo now and my eyes are not like they were at 22. So I can increase the size to suit my eyes. I wish It had the ability to slow down the unit movement even more. 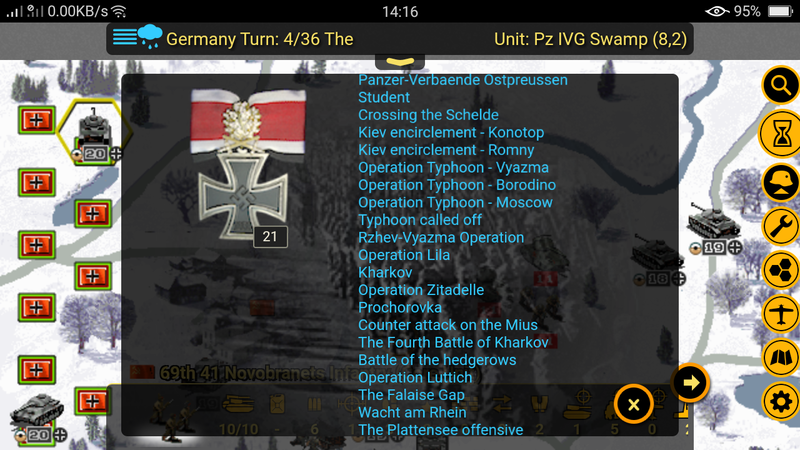 I'd like watch the panzers rumble a bit slower across the map. 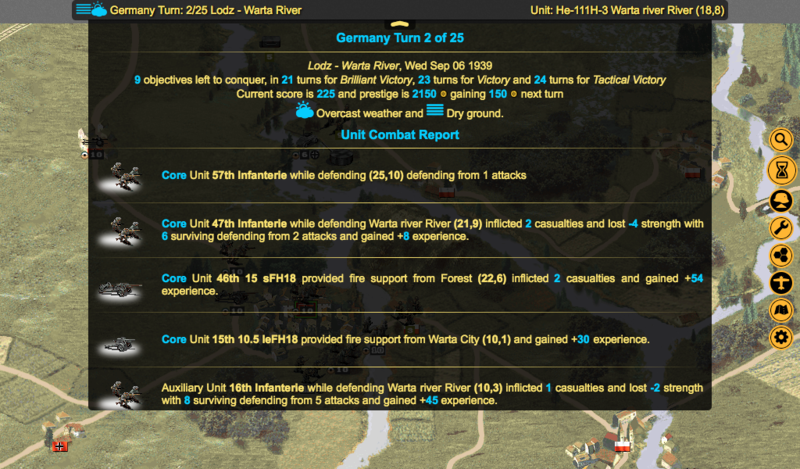 Nicu, I found the campaign in Poland way too easy, finished Warta, by 15 turn, Counterattack in 12 and Burza pocket in 10, yet to play Warsaw. The A1 seems to be too easy for some players. Ways to solve: Have three levels of difficulty for A1? Limit prestige for the different levels? Enjoy the game very much,! When can we expect a new version? Where and when can I make a contribution? Thanks for the feedback. 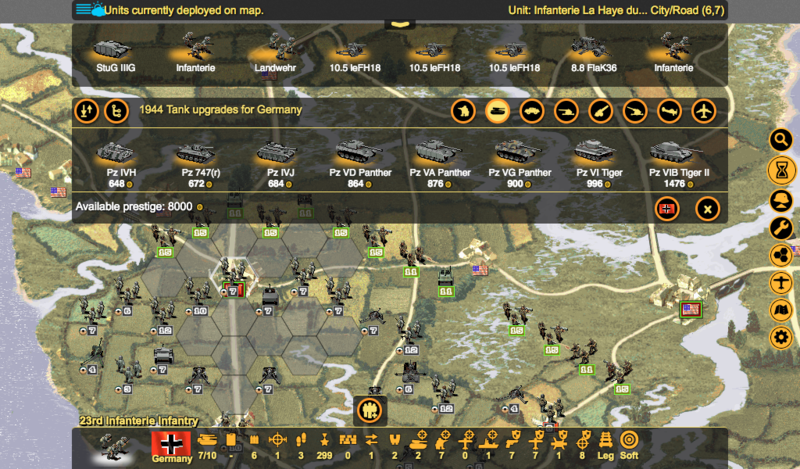 There is a difficulty setting when you start campaign maybe the next difficulty would be something that also limits the units on the map beside prestige. A new version is in works although I'm in a busy period atm but aiming for a new release till the end of May. Donations can be made on this website before downloading if you wish. I'm mainly going to use these donations, once there would be enough, to keep the game in the iOS store and maybe Steam in the future. Is there a way to make the play area fill the whole screen? I have big grey areas in the tutorial and the first campaign, but the second campaign's play area fills the whole screen. Seems like a waste of screen real estate to play a long campaign with an unnecessarily limited view of the map. EDIT: The problem is only on the PC and web clients. Android is fine. 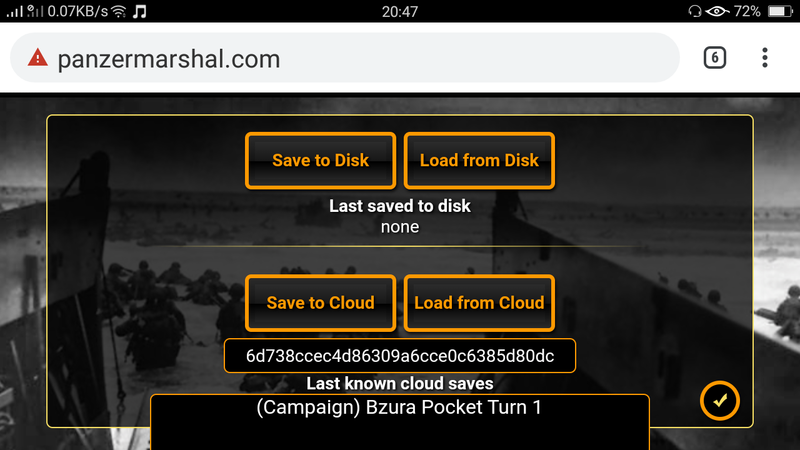 Hello, I was just wondering why are the campaigns "Liebstandarte" and "Wacht Am Rhein" unavailable in the Android app but in my laptop i could play those campaigns? just asking, thanks! or maybe it might be because of the country my google play is in or my phone? Hello Nicu! 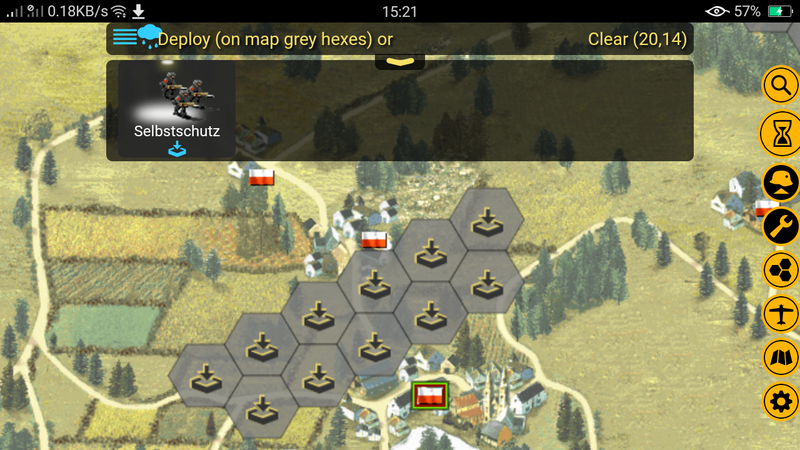 I love your game so much, finally panzer general on iPhone!!! 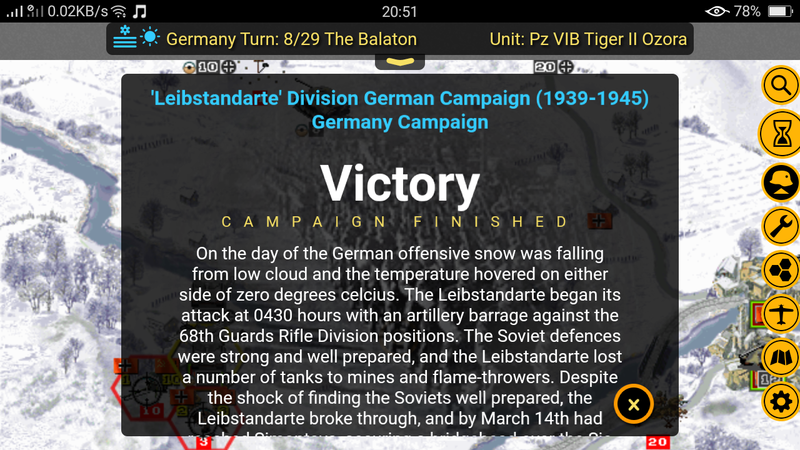 Can we have the good old BlitzKrieg campaign from the original SSI panzer general 2? I don't think that's allowed, I'm not sure about the legal implications but Panzer General 2 is still sold by GoG. Android has the same code base as the standalone version. The difference in campaign path can be checked in campaign screen by pressing the 3rd button on the bottom (the one with the map icon). 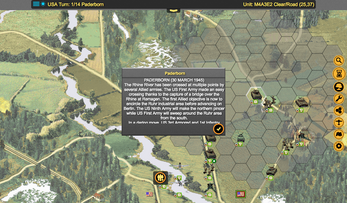 As for paratroopers I will have to check this and also improve the mechanic. is it the behind enemy lines ? Strange bug, would you care to save to cloud and give me the save game ID ? 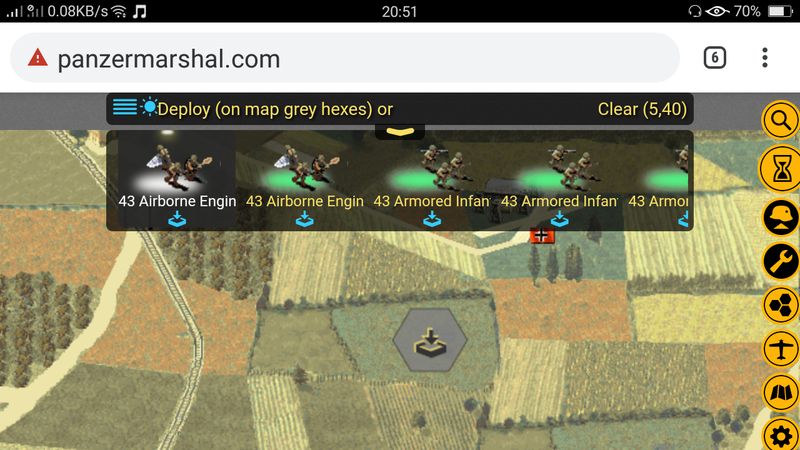 Why aren't you using the Android app instead of playing in browser ? Do you know your Android version/Device model ? Even if you move closer ? 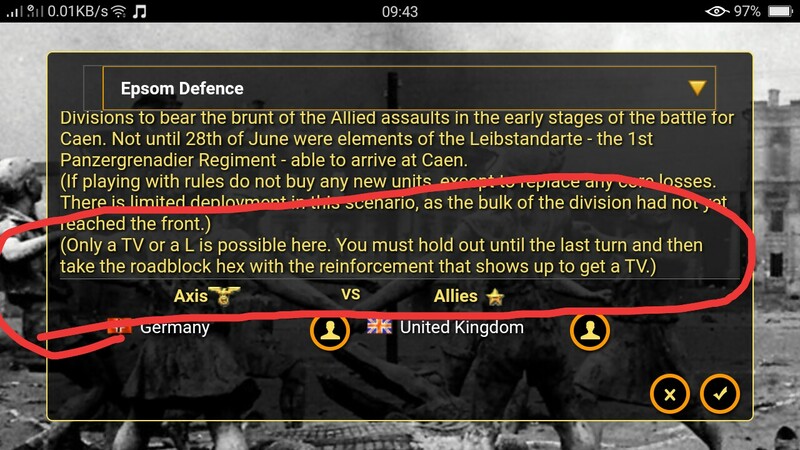 I will need to check, last time I checked I could enter hex (see below). No, but that's a good idea, maybe even an in-game detail log. Yes that would be greatly appreciated, I've always wondered what some of those symbols meant. I think this idea would help the player manage his spending and add another level of depth to the game. But I love this game thanks so much! Are your working on 3.3 or is that too soon? Of course. As for the symbols, if you are referring to unit information icons you can mouse over them and wait for tooltip. But I'm doing a help windows for next updates to make it more clear. No, those aren't available, they are original SSI scenarios (which probably are still under copyright). Wow :) Are those all brilliant ? Fabulous game Nicu - so well constructed and just what I have been searching for. 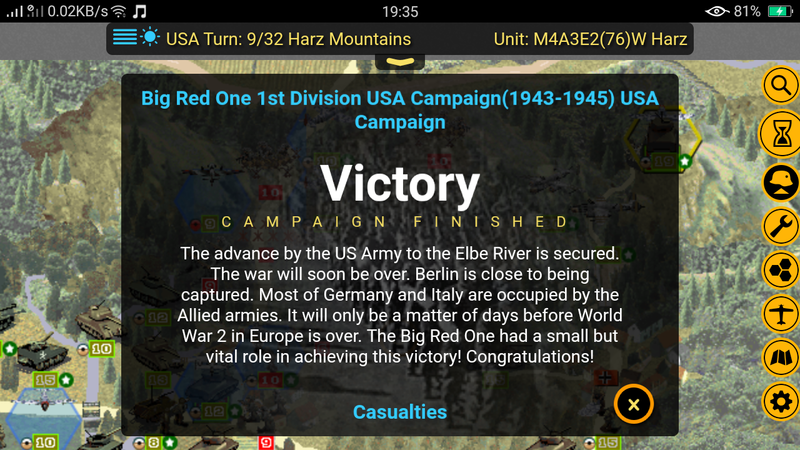 The scenarios remind me of the hex games I used to play in younger years churned out by Strategy and Tactics (SPI) in USA with some epic campaigns such as Watch-am-Rhine and Barbarossa. I've not found anything near as good until this. Bravo! I love the graphics and the mechanisms, sometimes I feel that the AI is a little favoured, but this in itself is a challenge. Is there a way to switch on names of towns and cities? 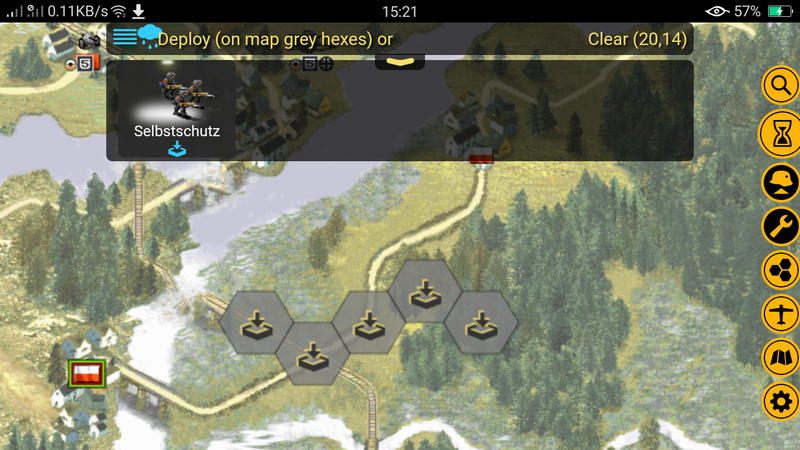 I sometimes get a bit lost with matching scenario description to map. Also, is there any proposition to introduce divisional cohesion and zones of control - or are these already built in? These are minor questions - I love the game. Thank you ! The idea with cities names is actually great I'll see if I can do something. 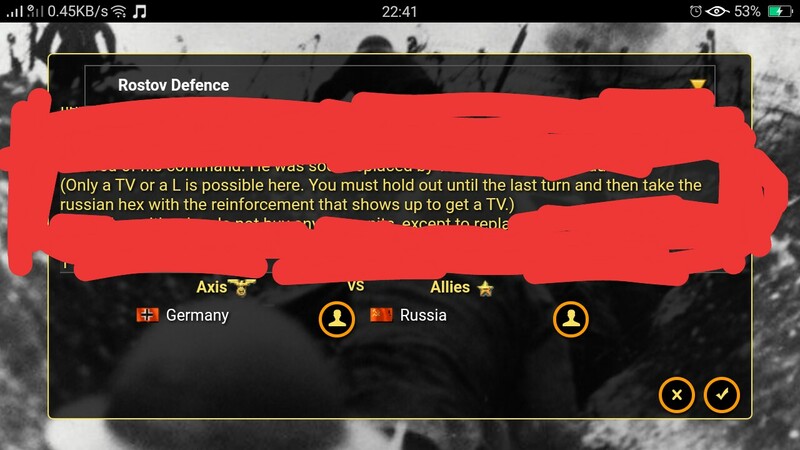 The zone of control is already built in but not drawn on screen (same as old PG2) and divisional cohesion it's the bonus that adjacent units receive if they have battlefield intelligence leader. If you have more ideas about divisional cohesion let me know. P.S. 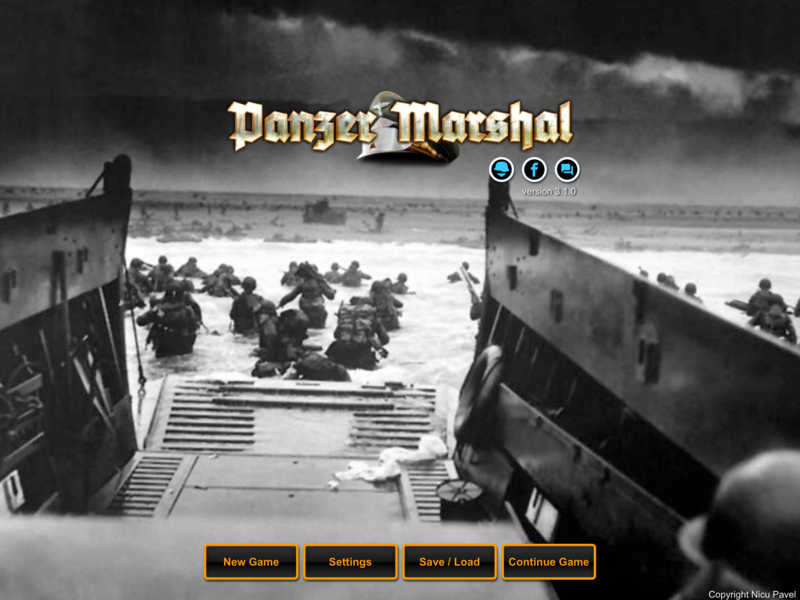 The graphics are not mine, they were done by the great people over at panzercentral.com forum. All kudos to them ! Your core units should all progress to next scenario. Core units are the units that have the strength number bold with a border around. If a core unit is destroyed it won't be available on next scenario. 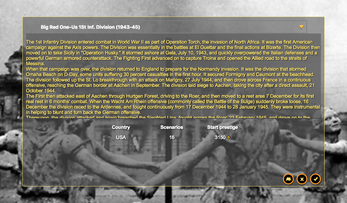 and is there anyway you could add some basic German mortar teams? 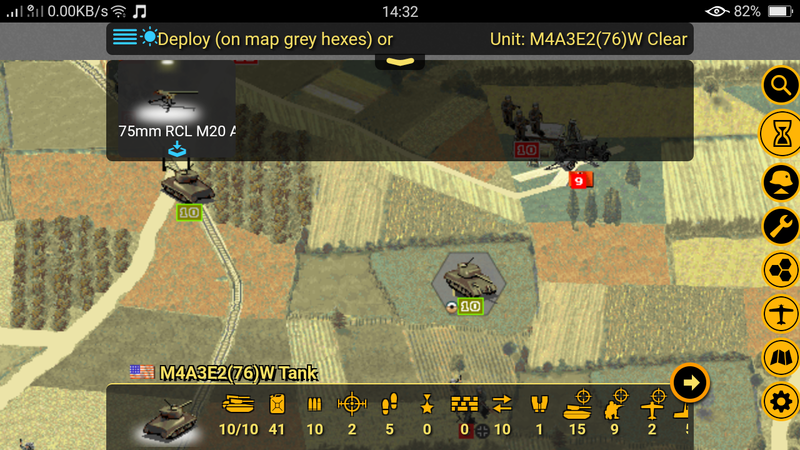 You can find the mortar team for Germany, on artillery section of equipment. Units like 12 GRW 42 or 8 GRW are mortar teams with pretty good range. Paratroopers can only be loaded on a airfield if it has free transports. 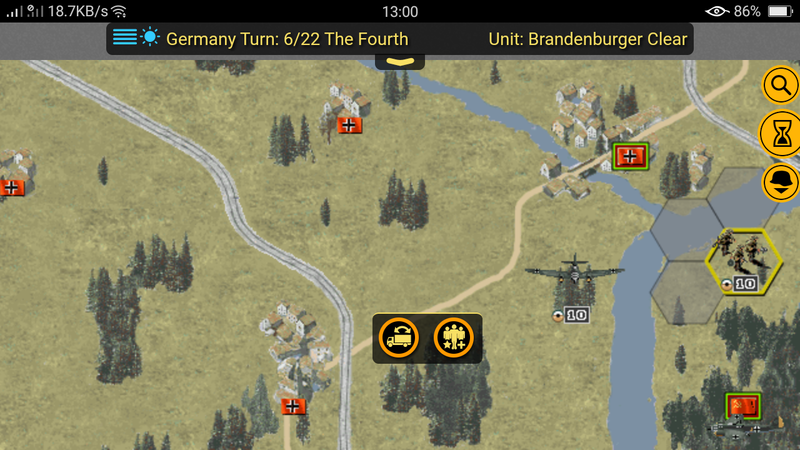 The number of free transports can be found if you hover or click on the airfield terrain. Maybe I can improve "free transports" information this in next builds. Thank you ! More content is coming, have fun and post feedback. Thanks for the tip and the link. Ill try to use the same tactic next time. 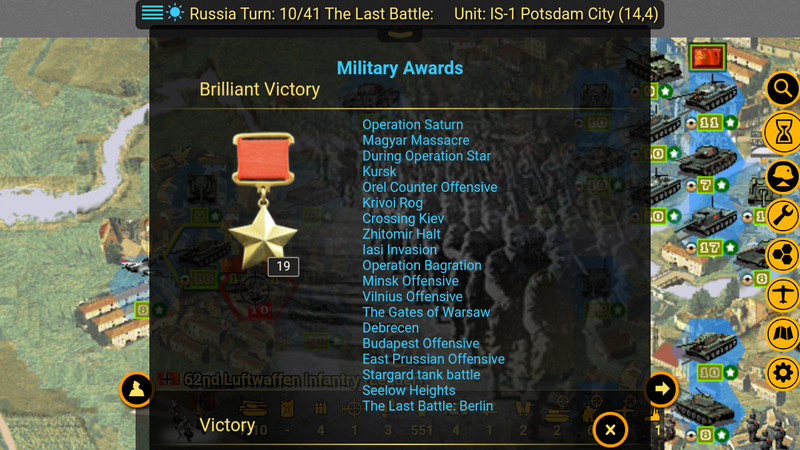 However I am only playing on Historical, so not sure if it will be doable? 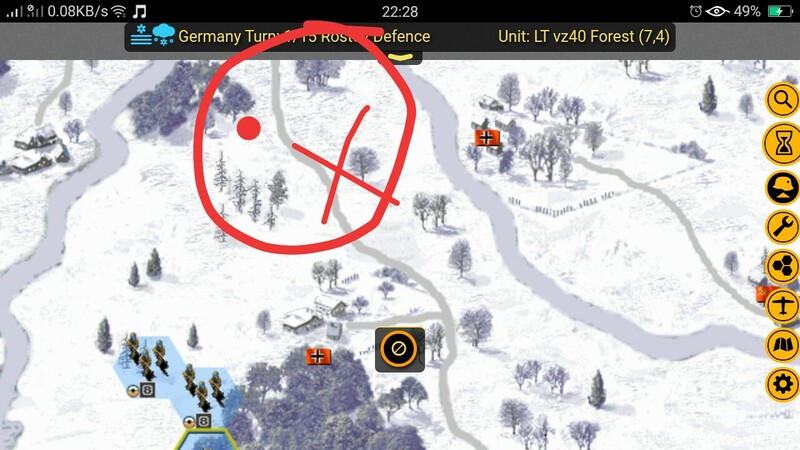 I think its a good idea to have scenarios where you can loose, but the player should be given a retreat option in case casualties gets too high and victory is in no sight. In fact what I like about your game is its graphics, UI and difficulty. 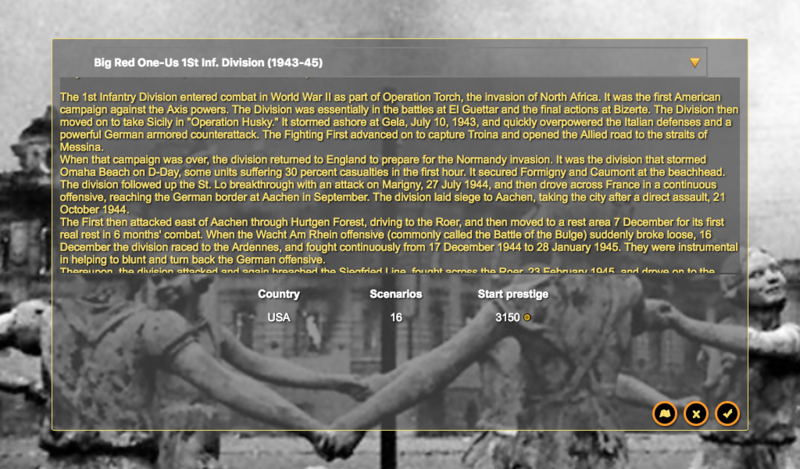 The Ardenne campaign is a great example. 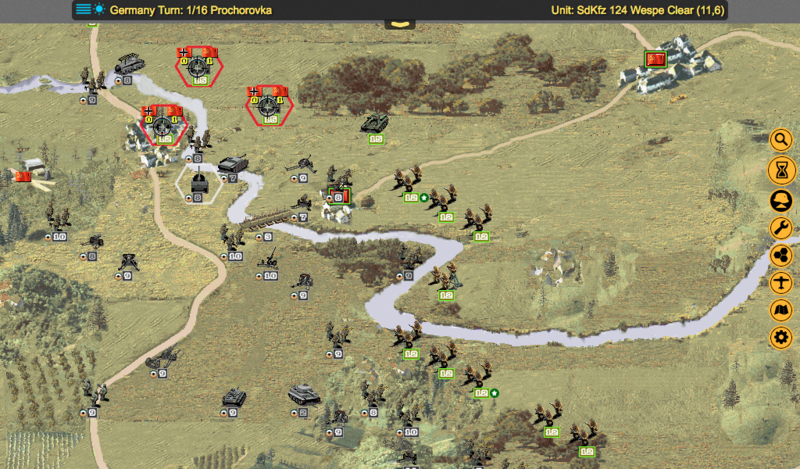 ; no starting prestige points and only a few reinforcements., plus the US opponent is putting up both a strong defense and counter attack. Question. 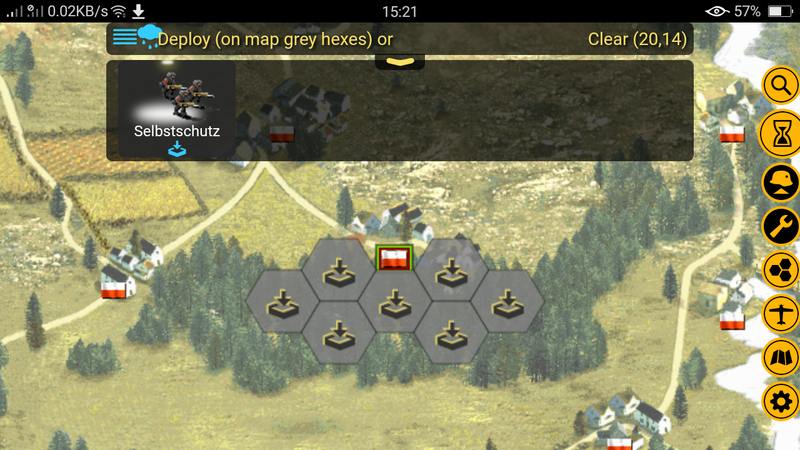 Would it be possible to script the AI to not move any infantry unit out of a big flag hex? When it does, it generally lose that flag in my next turn. I crawl on the gum. The enemy is far superior in numbers, has OS and a high entrenchment - a BV far, far away." 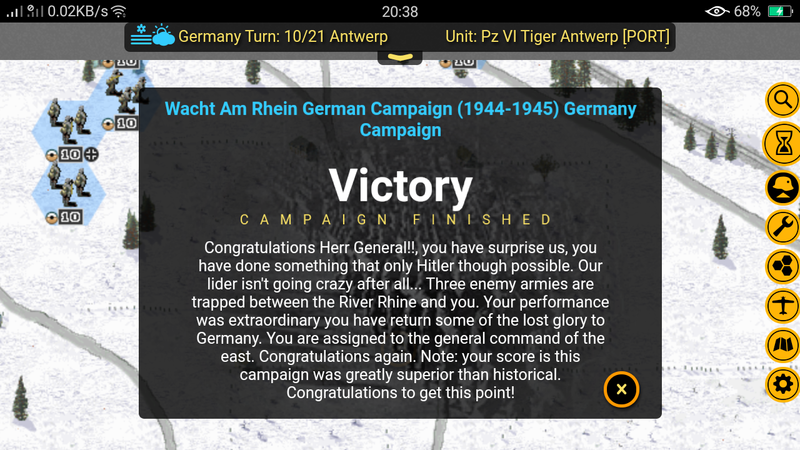 Reading Parabellums post I can only say that it was on the map Closing in on Dunkirk, were I finally understood that Tanks and vehvichles need to fight up front, while your INF and ART are mopping in the rear. 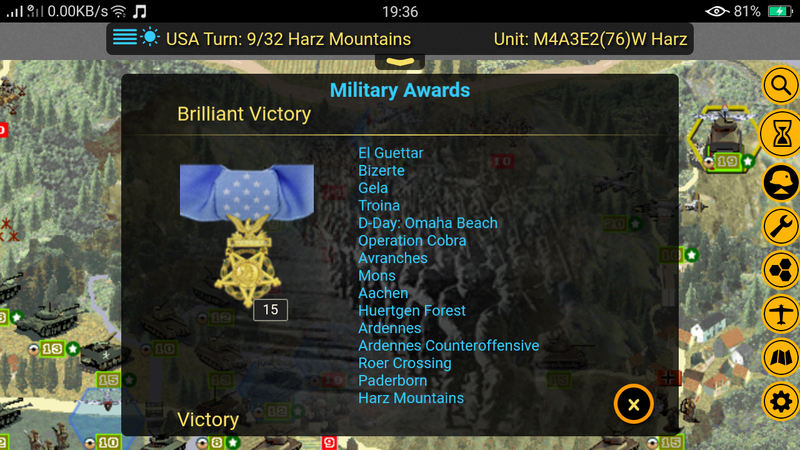 On this map I managed to achieve a BV. After two or three tries that is. So it was not easy. Love it. 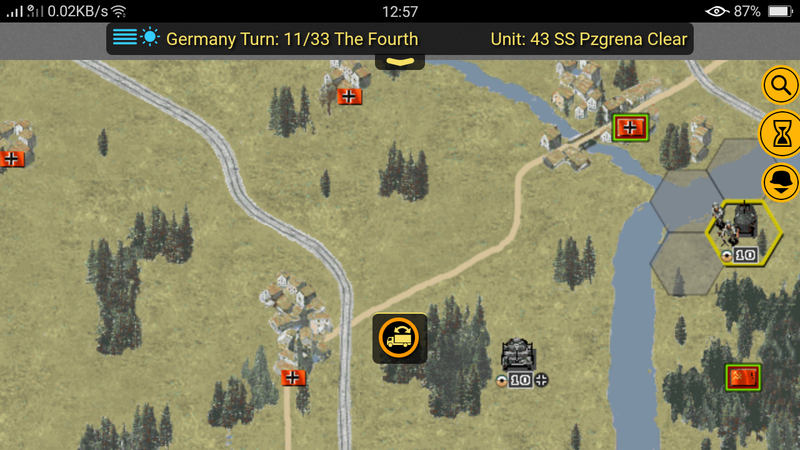 Took me a while to understand that Panzers need to stay ahed, while the infantry and drawn artillery do to mop up in the rear. 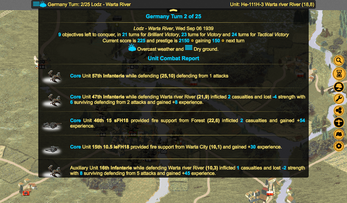 In the Kempf campaign you put in a training scenario, Unternehem Selöve, against an italian AI. This scenario is far too dificult. You dont have the prestige to buy enough bombers to take out the italian fleet. I lost 3/4 of my core team on the sea. When the scenario is complete you need to give back all the lost units. So the player still has his core team. After all it is only a training scenario. Make it into a bonus level, where you can get some more prestige and then make the next scenario more difficult. Otherwise a great game. Thank you! Thank you for feedback. Indeed the Unternehem from 'Das Reich' seems wrong, either a design error or I missed something when converting it back from the original designer. 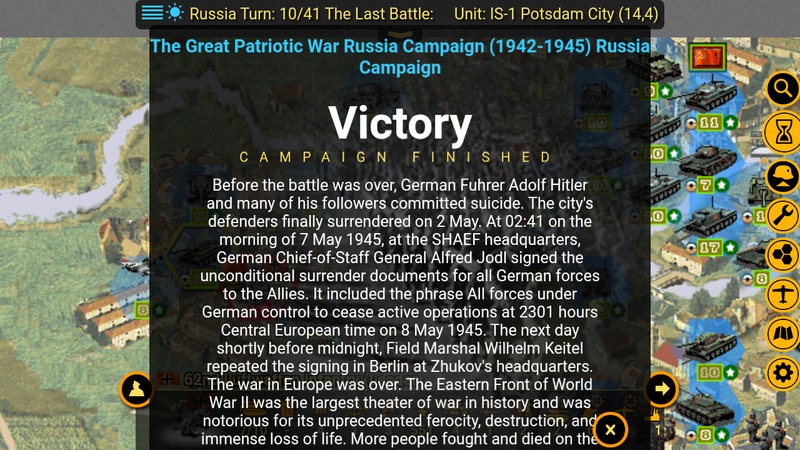 The 'Das Reich' campaign will be updated in the next version and this scenario will most likely be removed (it's fictional and confusing). 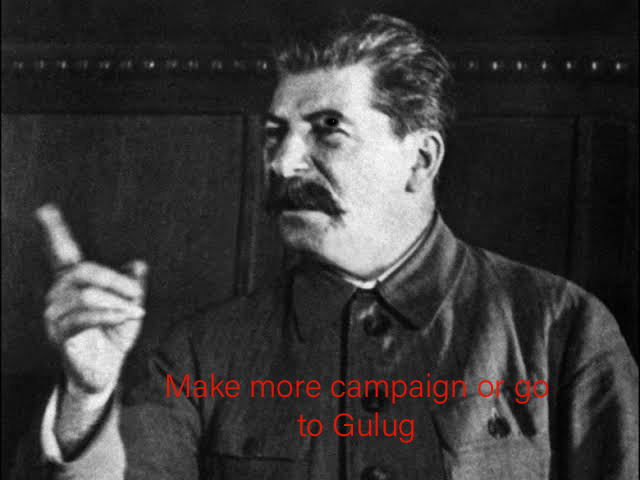 This campaign has a few scenarios where you are supposed to *lose* which is damn confusing to players and I want to rework those. 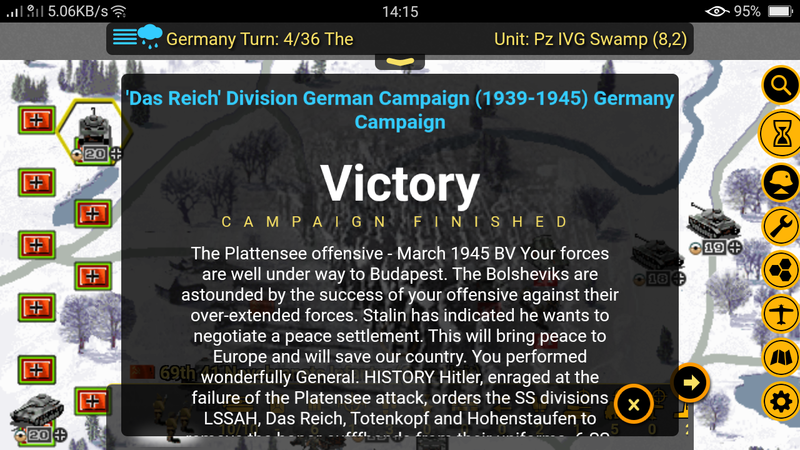 As for the tactics used, what you are using it's an actual blitzkrieg tactic. I personally do it the other way around, I attack with air, artillery, infantry (even considering bigger losses) and then I storm with armor to get the OverRun effect of tanks.